Hope seems fleeting at times, especially in certain seasons of life. I catch glimpses of hope. At times, I even catch glimpses of what I am even hoping for. There are days where those glimpses seem to fill me up with more hope and motivation, and there are days where hope is silent. I experience times when I have hope in a moment, and in that same breath feels, like I got the hope knocked right out of me. I am learning that hope is not meant to be seen or understood, for who hopes in what is seen? It is the knowledge that unseen things are happening, and the mystery of the unseen that evokes hope. Hope requires faith and faith hope. Hope is the desire we have that something we want can and will happen. Hope is also the desire that things will turn out for the best, even if it does not look anything like how we hoped. Guest Posting over at Church 4 Chicks today!! Would love your thoughts over there!! Come hang! There is a wrestling that comes when responding to tension in life. Living out of a comfort zone requires no wrestling at all. There is a want for both. There is a need for both. What do we do in the stretching? I struggle with both tension and being comfortable. I say out loud that I don’t like being comfortable. If I am being most honest, I like my own routines. I appreciate things that are known for me. There is a certain exhale that resides in comfortable. However, the downside of being comfortable can also lead to the shackles of complacency. Tension keeps me restless and wrestling. There is a huge tension in my life that I wrestle through every day. Andy Stanley defined this kind of tension as a “need for wanting more.” I do. I am feeling the tension of wanting more. I live in the tension of the “not yet.” That is my season of life at the moment. On paper, I am considerably comfortable in place of living and job. Honestly, both make me restless. I could choose to settle for life as I know it now, but I would sorly miss out on life all together. Tension reminds me that God is working on what is in the “beyond me” kind of things. God is great at providing hunger and tension to enable dependence on him. Comfort requires no dependence or movement. Tension creates a place where faith and ability merge. Tension can feel maddening, and requires a conscious fight. I am more aware then ever that my response in the tension matters. There is some serious character building in the tension that not everyone is willing to enter into. There are certain fears that rear their ugly heads in my tension. I know I have a tendency to let them respond for me. I am bittersweetly thankful for when my fears and insecurities surface. Tension builds character. It’s hard. Choosing to sit in a tension that is unresolvable is so hard. There is nothing quick about tension, and there is no time line for the question of “how long.” I am learning that the process that the tension brings is priceless and worth the hard. How do you deal with your tension? Every New Year I feel very ready to kick the previous year to the curb. I am ready for all things new come January. New Year’s always gives me the hope of just that…NEW. For the past two years, I have joined in the growing community of choosing a OneWord for the year. To be honest, each year my word has made me its _______. Still trying to live a life of FOLLOWING in 2011, and continuing to work on my jealousy through CELEBRATING others in 2012. This year….this year I need new. This past year shattered me on so many levels. 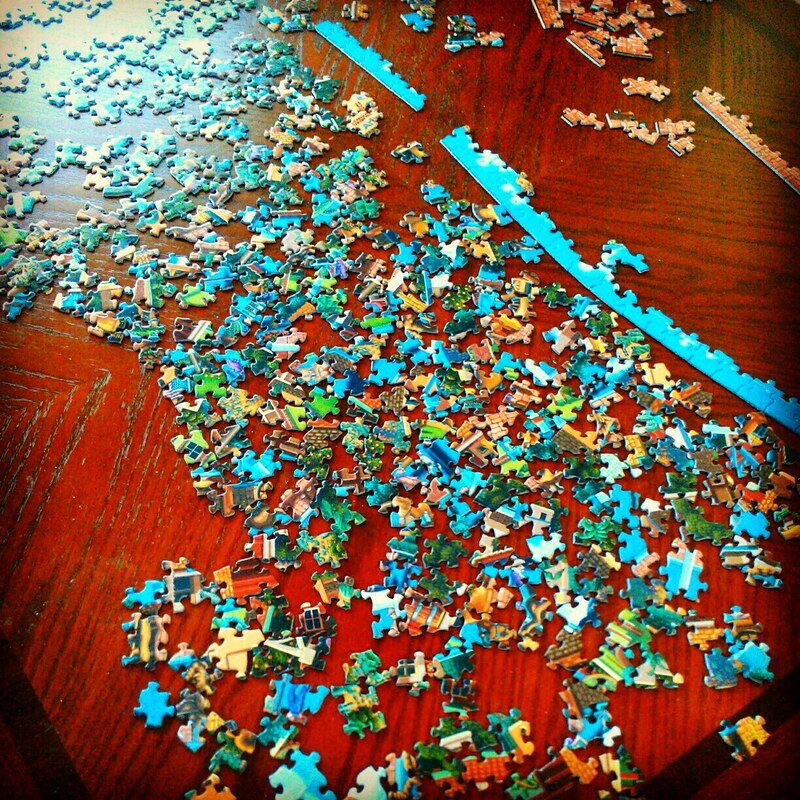 Sitting here at the table and looking at the proverbial puzzles pieces of my heart, I wonder where to start. Have you ever had those seasons in your life where you feel like more than the wind has been knocked out of you? 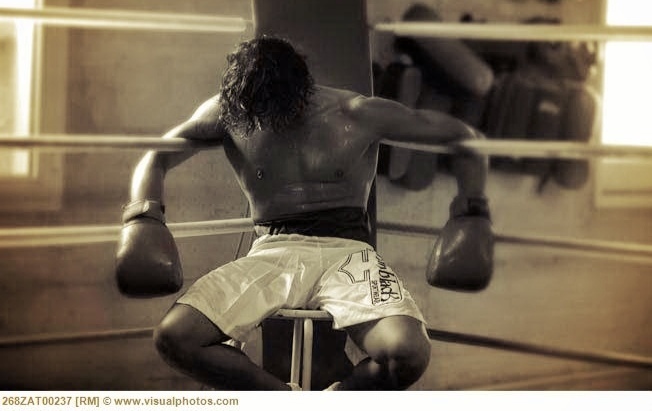 There is hard and then there is feeling defeated with no fight left. I am exhausted from pain, brokenness, discouragement, conflict, transitions, rejections, and deferred hope. I need a break. Every war has times when the fighting ceases for sleep and rest. Every boxing match has rounds when each fighter gets a breather to regroup.I am that fighter in the corner needing a breather. I am that wounded soldier needing rest from the front lines of life. SO my ONEWORD for 2013 is HEALING. To be honest, slowing down and healing is not easy for me. Whenever I broke a bone or sprained an ankle I was bad at heeding to the instructions for healing. There is a reason doctors say it takes six weeks for broken bones to heal. I always that it was just a suggestion. I should have committed to waiting. The patchwork and Band-Aide management of my life has become unstitched. It is time to let the Healer do His thing. This year, I am focusing on the healing stories in the gospels. I want to learn about the what, who, why, and how of Jesus’ healing miracles. Hoping He heals me there. These are some promises I am holding onto this year as I put back the pieces of my weary self. My hope for this year is that of a renewed hope, trust, peace, and forward motion through grief. What is YOUR OneWord of 2013?